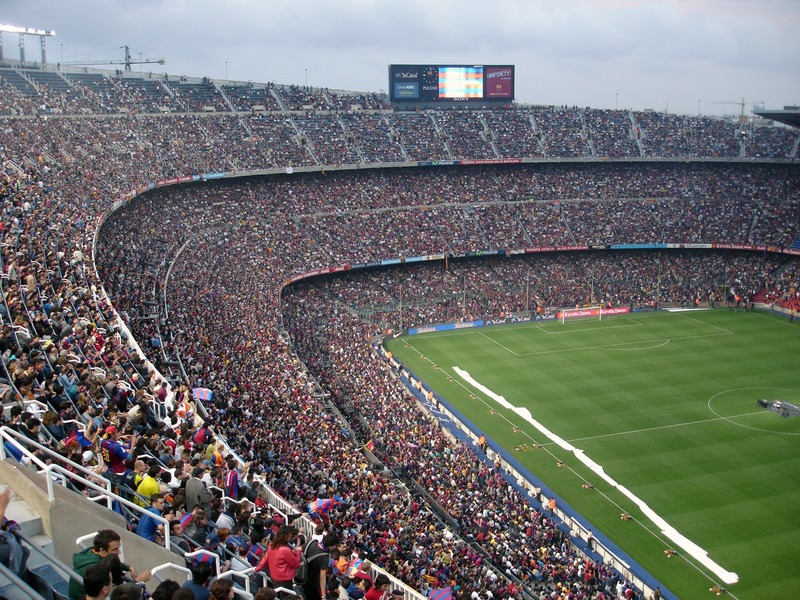 We wanted to give a quick update on the MyStartingLineups community and growth over the past several months. We've continued to add and refine our database of starting lineup series, figures, images and relationship linking (teams/players/etc). There is still a lot of work and clean-up to do, but we are well on our way to having a completed database for starting lineups! Join our Newsletter to stay up to date on Starting Lineup News, Articles, Deals and New Site Features! Browse the starting lineup series and figures for major league baseball. 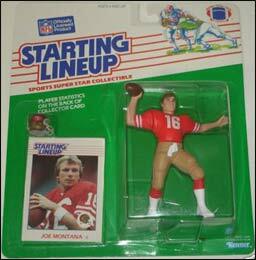 Browse the starting lineup series and figures for pro and college football. Browse the starting lineup series and figures for the NBA. 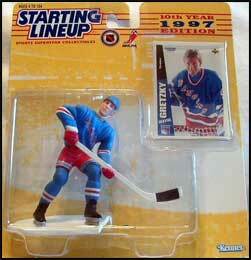 Browse starting lineup series & figures for canadian & american hockey. 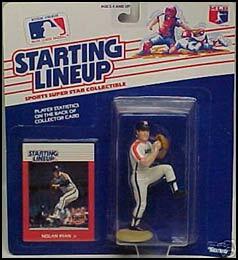 Check out 'other' starting lineup figures like Convention and Club pieces. Manage your starting lineup collections using our checklist feature. 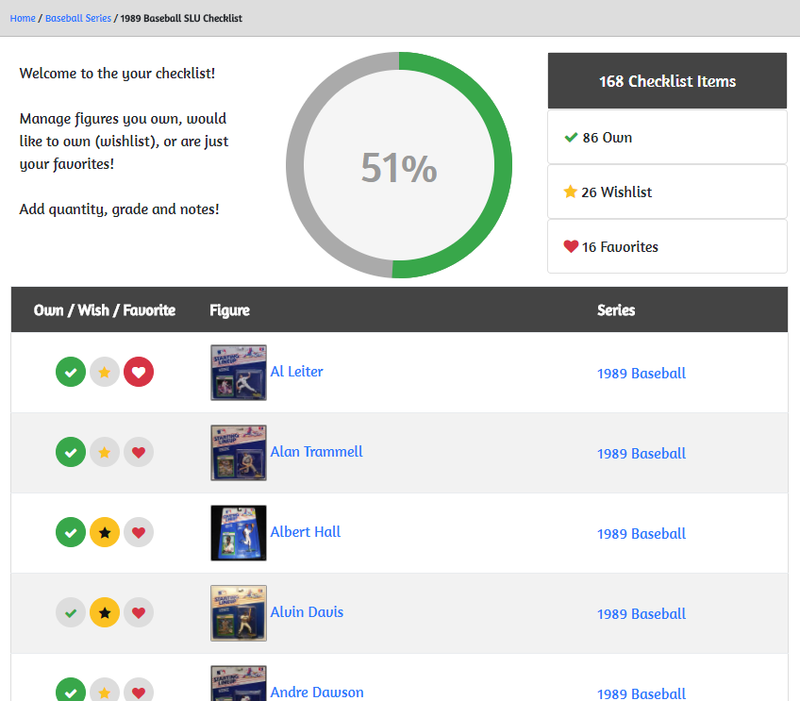 Members can track which figures they own, mark as favorite or add to wishlist for each Series, Team and Player checklist! 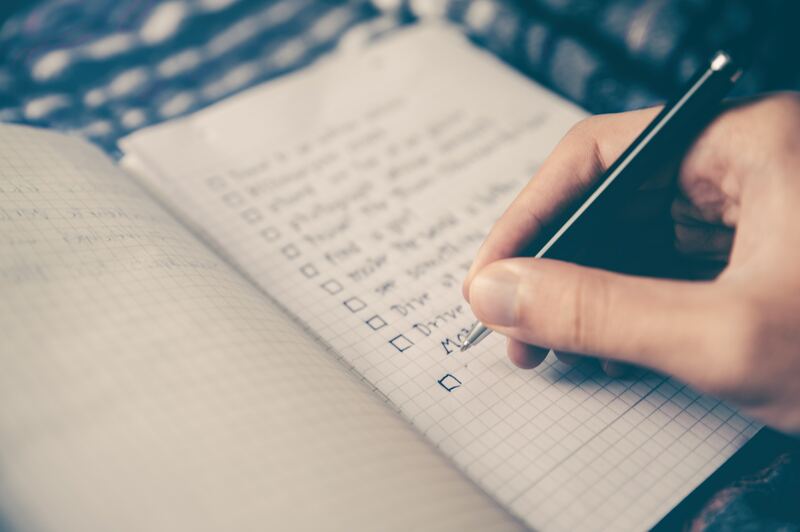 Check off Figures you own for each Checklist and keep track of your percentage owned! Trying to complete that checklist with those hard to find figures, add them to your wishlist! Have some figures you just love? Mark them as Favorites!